MattyCollector has posted the next set of figures to go on sale for the Cyber-Monday promotion. If bustin’ makes you feel good, then today’s reveals will make you feel like I feel when I’m with you…Okay, that makes absolutely no sense. How about you just check out today’s announcement. 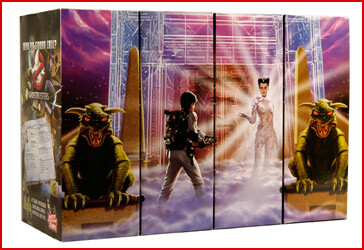 Ghostbusters™ fans, you’ve been asking us to show you some Cyber Monday love so we’re doing it downtown style… for the first time, all four 12″ figures will be available at the same time − the same four figures whose packages create a mural when placed together! 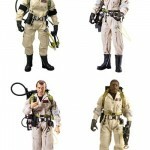 The series of 4 figures began with Ray Stantz™ a year ago in October 2009 and was completed in August of this year with the release of Winston Zeddemore™. The mini-mural is original art depicting the rooftop scene from the first film. If you haven’t seen the Winston Zeddemore™ video that shows the mural, here’s another look. The next reveal is on Thursday, November 4th. 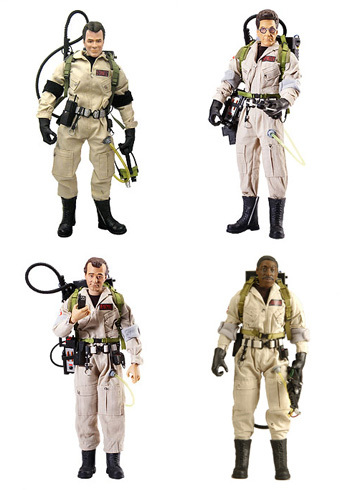 I’ll have four more products to show you − not JLU and not Ghostbusters™. I can’t say exactly what they are, but they are universally loved.